Blueberry Kush is a combination of two of the world’s favorite strains of marijuana – Blueberry and OG Kush. 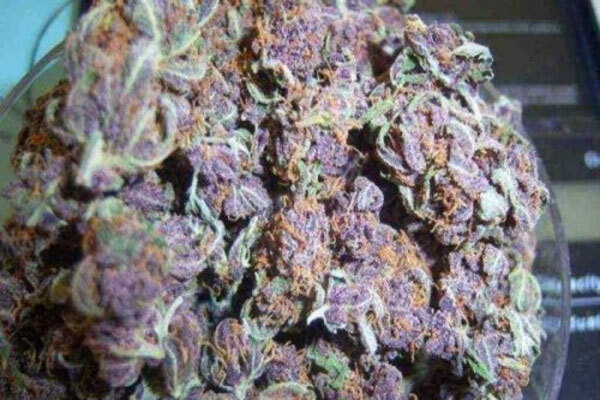 It is a highly potent Indica strain that brings on a full body sensation. Originating in Oregon, it can be distinguished by its berries like flavor and taste. Blueberry Kush is known for its smooth blueberry taste as well as its strong long-lasting Indica type high. The high comes with euphoric feelings and an uplifted mood. The full body high stimulates appetite and generates feelings of sedation and sleepiness. It has large buds but is not known for its large yields. It yields a relaxing buzz that is not too overpowering. Blueberry Kush is not readily available in many dispensaries but this will hopefully change in the near future. Cannabis users love the smell of blueberry and the effects of Kush. Why do Patients Use Blueberry Kush? This strain is wonderful for treating all of the symptoms that Indica’s are known for treating. It is perfect for Insomnia, pain relief and stress. This is not a strain for morning use as it will induce severe couch lock. Users most often report feelings of happiness, euphoria, and well-being after this strain. It is a powerful strain, not overpowering as long as you don’t inhale too much. It is a pure Indica with little racy effects. This strain is many marijuana patients all-time favorite. Blueberry Kush has a rating of 8.4 on the stoned meter. Blueberry Kush generates a low yield. Requires lots of attention. Not for novice growers. Lots of attention required with this strain. Plants need support during the flowering stage.